I can see this building from my office window. It stands in glorious isolation on the horizon currently viewed through a nest of cranes developing homes aimed at a very different market. The tower was built as a landmark, aimed at international buyers able to afford premium prices. To use this single development of 214 flats as a litmus test of the London market would be akin to using Aston Martin as an exemplar of the car industry or Wayne Rooney's salary as an indication of what players from my home town, Fleetwood, earn playing (heroically) in League 1. In short, it has little if anything to do with the vast majority of London housing. As the articles itself points out, the prices were and remain "astonishingly expensive". Really? How on earth did that happen? A large apartment in a prime location in a landmark building in one of the most desirable cities in the world and it is expensive? The international market is a different place from the world in which over 90% of homes in London are sold and this property was built to serve that international market. So what possible relevance does ownership of a five storey 23,000 square foot penthouse have to the aspirations of my children hoping that in ten years time they will be able to afford somewhere to live? There is a huge amount of pressure on housing in London. Having struggled to afford a family home I know first hand and I am one of the luckier ones with a decent income. But exaggeration of this sort does not help address that problem. Nor does the claim that there is no affordable housing in the tower. That is because it is in the other adjacent buildings. The overall development had 30% affordable provision. I understand the target for this article and the emotional response it was, successfully, designed to evoke, but projecting anger on to a single unrepresentative isolated project will generate plenty of tweets and little real change. Also, focussing on the identities of the owners links two unrelated issues. Who owns the properties and what they paid for them are not connected. This is a very small part of the market and, as the developer has pointed out, foreign ownership in London accounts for just 7% of the residential market. It is a factor, but not to the degree painted by The Guardian. So to compensate for the 184 foreign owned flats in this building there are 2,444 other homes in London not in foreign hands. Perspective anyone? London is a truly international city with nearly 200 languages spoken within its borders and I am immensely proud of that. We live in a city which attracts business and talent from around the world and that will result in premium prices for premium property. The problem of providing affordable housing in other sectors is a completely different matter and this piece does no justice to the issues we need to address to solve that difficulty. The London skyscraper that is a stark symbol of the housing crisis Almost two-thirds of homes in the Tower, a 50-storey apartment complex in London, are in foreign ownership, with a quarter held through secretive offshore companies based in tax havens. 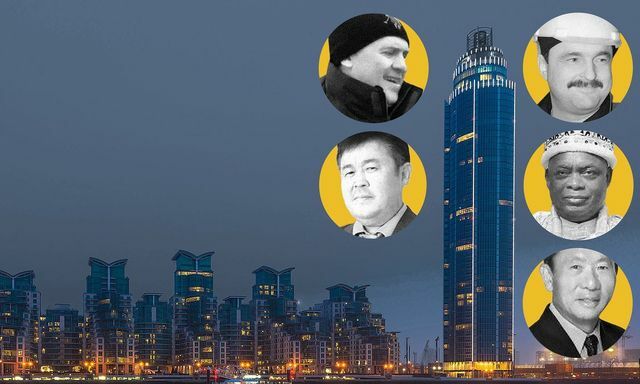 The Tower at St George Wharf has 214 flats on 50 floors, costing up to £51m. With no affordable homes, it feels more like a hotel than a home The first residents of the landmark development arrived in October 2013, but many of the homes are barely occupied, with some residents saying they only use them for a fraction of the year. The revelations about the Tower are likely to be seized on by campaigners and politicians as the starkest example yet of the housing crisis gripping the capital.